If you need an interface between your sensor and your data-acquisition card: We've got it or we'll make it for you. Our signal condition product lines contain a broad range of interface modules and instruments which will produce a normalised voltage output (± 10 Volts, ± 5 Volts, 0-10 Volts) or 4-20 mA from any source signal. Electronic filters are used when the frequency spectrum or differential phase properties of dynamic signals are analysed, or need bandwidth limitation before they are digitised. Signals often being filtered are : Vibration, turbulence, noise, and other physical wave variables. Frequency Devices Inc. design and manufacture high precision PCB filter modules, subassemblies, and instruments. for OEM customers who design signal processing electronics as part of larger systems. 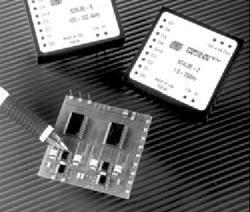 The modules housed in DIP packages are suitable for use as engineered and calibrated components. These are available in fixed and programmable low-pass, high-pass, band-pass, and band-stop (notch) versions with slope and characteristic of choice. form a ready to use laboratory instrument housed in bench top enclosures or rack systems. The Kemo model VBF8 has manual controls for adjusting cutoff frequency. The cutoff frequency (highpass or lowpass) is adjustable from 0.01 Hz to 99.9 kHz. Gain *1 or *10. Eurias assembles the filter modules into different enclosures. 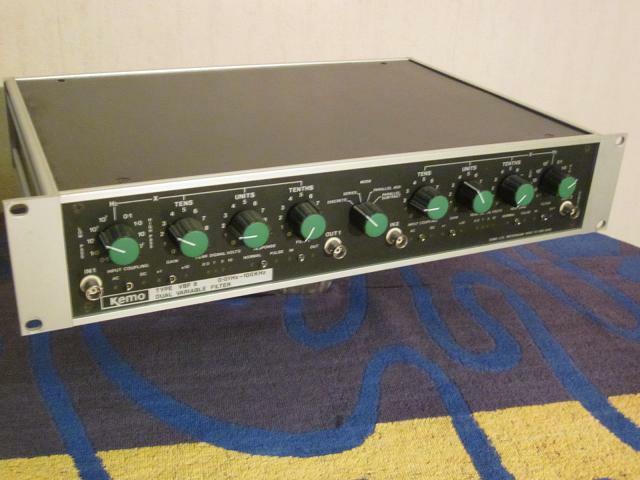 Isolation amplifiers are required when signals are to be measured which cannot be connected to the measurement systems' earth point, either for ground loop elimination, or because the signal source has a potential with respect to ground. A typical example is a thermocouple connected on top of a heating element, because of that the thermocouple signal contains a lot of noise and 50 Hz line interference. If it also electrically connected to the heating element, the common mode voltage on the thermocouple must be eliminated before it can be measured with a grounded instrument. Long cable lengths may also be a risk factor when measuring low level signals such as thermocouples. The cables pick up common mode voltage induced by electrical and magnetic fields which should be isolated from the measurement system having a common or grounded earth. 5B modules are used world wide for industrial signal conditioning. We produce custom and multi-channel isolation amplifiers and signal conditioners in modular 19" rack systems or DIN-rail mounted modules. Impulse converters are used for data-acquisition from sensors which provide one digital pulse signal or a two phase (A/B) pulse signal. These source signals may be used for event counting, accurate frequency measurements, instant period time, speed, distance and angle measurements. The most common devices are frequency to voltage converters. One of the specialty products is the converter which measures the instant period time of a continguous impulse transducer. It has the best possible response time for frequency and speed measurement. The settling time of a period time measurement module is just over one single period of the input pulse signal.